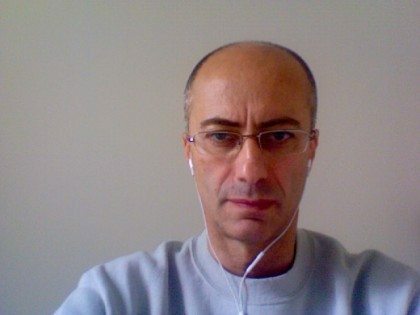 Professional profile: Ivan Maio is Professor of Electrical Engineering at the department of Electronics and telecommunications at the Polytechnic of Turin. He conducts research in the areas of circuit theory, signal integrity and electromagnetic compatibility. Always passionate about sports cars. The international scenario about the car fleet foresees an exponential growth, specially thanks to China and the other emerging countries; it is estimated a change from the current 800 million of vehicles to about 2 billion by 2050. A crazy increase in fuel demand and the resulting consequences due to the emissions; that is the type of weather and the quality of the air we breathe. 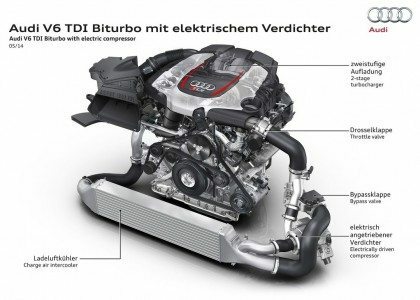 Among the different alternatives of engines and power supplies, which could meet the future demand with lower environmental impact, many consider as a solutions cars with electric motors, while others instead give about that a contrasting assessment. And so in an effort to put some fixed points on how green are electric cars, I sought the help of an “electricity” expert of DET of the Politecnico di Torino (Italy), Professor Ivan A. Maio, who kindly accepted and I thank him. The first question in about the efficiency of EVs engines despite the traditional ICE ones (Internal Combustion Engine). Electric motors are surely more efficient than the thermal ones, but the useful comparison is the one between the overall efficiencies of the two types of vehicles. According to traditional vehicles with thermal engine, the conversion efficiency of the energy obtained from the fuel into mechanical energy useful to push the vehicle is roughly about 20-30%. According to pure electrical vehicles, the evaluation is more complex, it must take into account that the electricity is produced in remote location – primarily using fuel- it must be transported, stored in batteries and finally converted by the electric motor and transmission into mechanical energy to move the vehicle. In addition, if electric, it should also take into account the possibility of recovering energy during braking, which depends on the usage profile of the vehicle. However if you take into account the circle production-transport-charge-conversion, the overall efficiency obtained is 30% or slightly higher if you use high-efficiency power source, such as hydro. As a whole, to mass and resistance parity of vehicles, the replacement of the conventional engines with pure electric traction may allow a change of the source of energy but not an energy saving. Could be used a local generation of electricity, for instance by solar panels? If you think of getting electricity “at no cost” from solar panels, you are wrong. They have a cost as well for the production and disposal of energy. Furthermore, the production process of solar panels has a strong environmental impact. It is therefore clear that for a true comparison of different solutions, you need to evaluate the complete life cycles – from production to disposal- in terms of energy, resources and environmental impact. Are there researches in this sense? 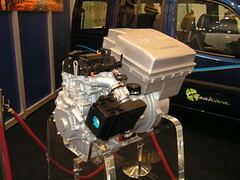 There are some work, which make a comparison on the effects on the environmental between Evs and ICE vehicles. One of the most interesting, because it is comprehensive, accurate and independent is an article published in the ‘Journal of Industrial Ecology‘ by Yale University, with the title ‘Comparative Environmental Life Cycle Assessment of Conventional and Electric Vehicles’ (Troy R. Hawkins, Bhawna Singh, Guillaume Majeau-Bettez, and Anders Hammer Strømman). It were compared two similar cars of the middle class, with electric propulsion, conventional gasoline or diesel. For the electric solution are considered two different types of batteries, current and of next generation, and three different power sources: the mix of sources currently used in Europe, the generation from pure coal and that only by natural gas. The comparison takes into account the entire life cycle of vehicles (Life Cycle Assessment) and it is based on the evaluation of 16 indicators that estimate the overall environmental impact of each solution. The indicators include: the Global Warming Potential (GWP), related to the greenhouse and all the processes involving emissions into the atmosphere and others which estimate the Human Toxicity Potential (HTP), the environmental effects (ex. Freshwater Eco-Toxicity Potential) and exploitation of sources (ex. Mineral Depletion Potential). …And what have they discovered? Very interesting results. According to data, electric cars have their beginning with a penalty related to greenhouse, the GWP. Their production, indeed, “costs” almost double than a conventional vehicle in CO2 emissions. In the use phase, if the electricity is produced from clean sources, electric vehicles recover the disadvantage. For example, using the electricity produced by the European sources, the break even point with traditional vehicles for CO2 emission is situated between 40 and 60,000 km. However, according to parameters of toxicity and exploitation of mineral resources, the comparison is always disadvantageous for electric vehicles. In the production phase the EVs show a greater increase of human toxicity, in particular due to the technologies of metal extraction, such as copper, present in the electric motor and in all the processes of generation and transport, and the nickel for the batteries. The gap is large: the data estimate the impact of electric vehicles on the human parameters and environmental toxicity twice/three times more than conventional vehicles. So I buy an electric car, which costs more than the traditional ones, I have to travel at least 40,000 Km in order to have equal greenhouse effect – and it’s hard to do all those miles with the autonomy offered today- always checking that the charging station in powered by green sources. The user could also consider it as an instant economic benefit but the environmental damage is unquestionable. That’s right, even with the wide margins of uncertainty that may have a “LCA”, this study clearly indicates that replacing an engine of a conventional car with an electric motor has a negative environmental effect. 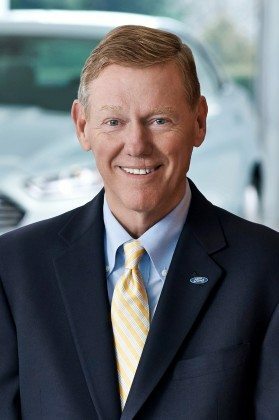 So suggesting that replacement is something that should be evaluated with caution, considering the numbers involved, more than 1billion of new cars in the coming years. There are already many examples of damage caused by the use of large-scale technologies with an environmental impact not clear. .. what to do? First the electrification of transport should be followed by analysis of environmental impacts over the entire life cycle and in terms of toxicity to the population and to water pollution. In addition there are many options to explore, the electric drive still offers considerable potential in order to preserve the environment. the electric motors should be simply used for solution with high efficiency and reduced impact, so with hybrid cars or with low absorption ones or with ultra light electric vehicles. And so let me express my considerations: or the study of Yale University is wrong or all of us are masochists and selfish, we are content to rave reviews on electric cars and not, without checking the real benefits in all its entirety. I have a question: Why on such a complex and very important issue for our children and grandchildren who will live over 2050, we keep evaluating how eco-friendly cars are only considering the CO2 emitted? Why no one has felt the need to talk about the topic and to certify the real and global impact of booth electric cars and not on the environment? Automobile customization: an Italian anomaly in Europe! 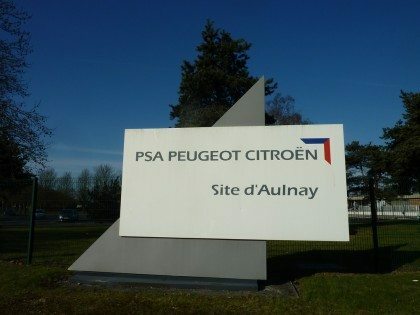 Peugeot and Citroen: It’s nice to win easy!